Keeping your commercial premises secure is a top priority for you, which means that it’s also a top priority for us. We understand that you want your business to be secure against damage and theft, which is why we offer an expert service for all your commercial locksmith Nottingham requirements. Established in 2010, Locksmith Nottingham provides a professional and experienced commercial door locksmith service that is dedicated to helping the residents of Nottingham protect their livelihoods and places of work. If you need a guaranteed quality service for affordable emergency lock repairs, replacement, or upgrades, then Locksmith Nottingham is the right fit for your business. We can gain entry to all types of door in Nottingham, including roller shutters and doors with commercial key fobs. We are very proud of our ability to gain entry in a non destructive manner, so your commercial doors are kept in excellent condition. We can take care of all insurance approved lock replacements in Nottingham for doors and windows. We can advise you on the latest in window and door lock security, including options for Anti Snap locks and master key systems. We can replace lost keys and provide a full key cutting service in the Nottingham area. We offer emergency locksmith services 24 hours a day, so we’re always on hand to provide lock replacements or help you to gain entry. Being alerted of an emergency with your business premises can be alarming. The priority is getting the problem dealt with as quickly as possible to secure the premises. At Locksmith Nottingham, we offer a full service for 24 hour locksmith repair service for roller shutters, commercial key fobs, and all security door types. Instead of searching for a ‘commercial locksmith near me’ when it’s too late, you can save time in an emergency and save our number straight to your work phone – knowing that we always have you covered day or night. Our emergency locksmith services are 24 hours a day, 7 days a week, which means that no matter the lock emergency, or the time, we are always on hand to take your call and get your commercial locks repaired or replaced as soon as possible. Commercial roller shutters are a staple part of the security system for many businesses; they provide strong additional protection and act as a deterrent to any potential intruders. If your roller door security locks have become ineffective, they have been damaged, or are not secure enough to make you feel like your business is safe, then we can help. Key fob entry systems provide an additional level of security, they are easy to monitor, and very simple to control. Our expertise extends to providing solutions to common key fob entry system issues, so that your business security is never compromised for long. 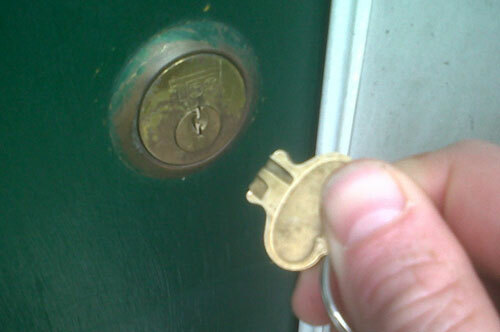 Locksmith Nottingham is a service that you can trust, day or night. We are fully Disclosure and Barring Service checked (DBS), have the highest level of enhanced accreditation by NCFE, and offer a minimum of 6-months warranty on every service that we carry out.